Indeed. It's time I applied the same rules I've forced other Pack Members to follow, to myself and my part in the Pack. 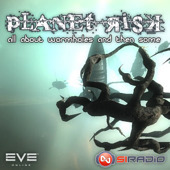 As @casiella rightfully mentioned recently, this blog is no longer just about EVE Online. And though I'm not one to shy away from the traffic the Pack generates for its members, I'm no traffic junkie either. 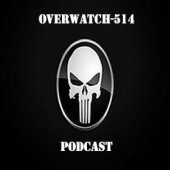 I write this blog because I like to share what I find interesting about EVE, about MMOG, gaming and geek related stuff. That's my nature. Since I wrote about How to get into the Pack a while back, asking bloggers to submit their blogs, or blogs they'd see in the Pack, I've received a good number of great and interesting blogs. I'll be taking in new applicants over the week-end and will make my final decision Sunday evening. Expect an update on this by Monday morning! And don't worry if your blog is not on the list. I may, or may not, pull a few surprises up my sleeve! So long EVE Blog Pack, you've been a lot of fun! I've recently come under fire for somehow being a marketing tool of CCP. These accusations, have led others to ponder over my relationship with CCP and as well as question my writing style. I thought I'd try to respond to these accusations. 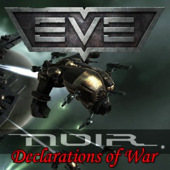 It's kind of funny that after putting all these efforts over the last 2 to 3 years helping out other EVE Bloggers (by providing them with opportunities to be in the spotlight through the EVE Blog Pack, win some EVE merchandise, ISKs or GTC, or discuss various aspect of the game in the EVE Blog Banters) that my reputation should be slandered in this way. It's a bit disappointing to be honest. I promised myself that this post wouldn't be too long, but bear with me while I tell you a story. I started this blog back in 2005. 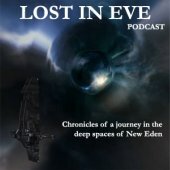 Back then, there were not many other EVE Blogs. 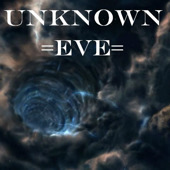 Over the years I started gathering links to other EVE blogs, to guides and anything that I found useful or that would help me out playing in EVE. At that time, I had no children and could easily play EVE for 30 to 40 hours a week without facing the wrath of my better-half. Then MiniCK came into our lives, and my gaming time started to suffer. A few months passed and I found myself unemployed for a few month, during which time I started focusing a lot of my efforts on this blog, and on building up the EVE Blogging Community. Thus the EVE Blog Pack saw the day, as did the EVE Blog Banters (something I had copied from @bsangel and her Blog Banters). Just a few months prior to this I had started The Drone Bay with @Crovan and @Alsedrech, and we very quickly gathered a loyal following. At the same time, I had a chance to freelance for Massively and wrote a few articles for them. 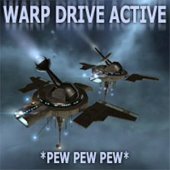 It's about then that I was approached by CCP and offered a Free EVE Online Media Account, as were other Fansites, to show their "appreciation for the work that you do to support our EVE Community". Of course, you can imagine I didn't decline the offer! 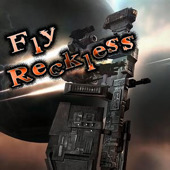 November 2008 came along, and I, with hundreds of other EVE players, made the pilgrimage to the EVE Fanfest 2008 and met with a number of the CCP Devs. Though it had been difficult to convince my better-half that her employed husband would use "money-we-just-didn't-have" to travel to the top of the world for a Party of Internet Spaceship Geeks, she gave in! Upon my return from Fanfest I was lucky enough to find employment as a Media Intelligence Specialist, a position I still hold today. Now a father, working full time and wanting to make a name for myself with my new employer, I put in all the efforts into my new job. Though the blog suffered for the following few months, I nevertheless continued to blog, to organize the EVE Blog Banters, and to add new blogs to the EVE Blogging Community. It was about at that time that things started going downhill with 2 important members of the EVE Community, with whom I had become good friends - or thought so at the time. I'm referring here to @Galen_Druid and @Black_Claw, the individuals behind the EVE Player Blogs OPML and the EVEBloggers.com site respectively. For the last couple of month we had been working together keeping our complimentary listings of EVE Blogs up to date. Things were going great. I was ecstatic at the wonderful community we had built and felt on top of thing. Both of them had voiced their desire to see me move my EVE Blogroll listing over to EVEBloggers.com and let them be the keepers of that list, in view of the difficulties keeping such a large list up to date on 3 sites. At the time, I had politely declined, explaining that I wanted to keep the list on my site as well, but didn't see a problem if we all continued working together and have EVE Blogs be listed on all 3 sites. Which would of course be beneficial to all the blogs on these various lists (more referrals means better search results on search sites). That's when Galen_Druid's accusations began. It's sad that I have to bring this forth in public, but this has gone on long enough. To make a long story short, I sent out an email for the 14th EVE Blog Banter, which he somehow didn't receive, despite being on the Gmail mailing list I was using (and still use today). Seems he had not received any of the last 3 Banter notices and was accusing me of trying to keep him out of it. What?!! At the time I was using the Bcc: field so that everyone's email was kept private. Now, I don't know if that was the reason behind the dropped emails, but I've since then used the To: field only and haven't had such issues. Suffice to say that Ga'len wasn't happy! I tried to calm him down, explained that I had no such intentions and reminded him that I had even posted a notice on my Facebook Fan page about the upcoming Banter, for all to see - which even got tweeted at the time. I provided him with a screenshot of his email listed in the Bcc: field. Despite all my bet efforts he never gave me the benefit of the doubt, and our mutually beneficial relationship within the EVE Community came to an end. And though I still have that email, I have no desire to make it public. Somehow, I'm still hoping we can work this out - if thats still possible. So if you're looking for the seed of Ga'len fury against me, there you have it. I do know that he's also accused me of ignoring his requests for helping him out with contacts at CCP, but I don't recall any of that. If I did ignore him, I did so unknowingly. I've always tried to help out anyone who's come to me with requests for help; whether it was to get into contact with CCP, or providing advice on blogging, podcasting or anything else for that matter. As for his accusations that I'm being used by CCP to put forth contests on my blog I'll say this: in some cases CCP came to me, in others I came to them. But it always been about pointing the spotlight at other EVE Bloggers. Letting "them" win cool EVE swag and having a great time doing so. Is that a crime? How is this malicious on my part? And that's where the disappointment lies. 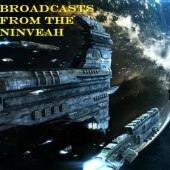 Despite organizing a bunch of contests where I gave out hundreds of dollars of EVE store credits, GTCs, ISKs, Fanfest swag, EON magazine (going so far as paying for the shipping myself) I'm accused of being a selfish blogger, who's writings are "self-congratulatory", and who lets himself be used as marketing pawn by the developer of a game he loves to play - but has very limited time to do so these days. Are you serious! Have you ever thought of the time and effort that's needed to do this! Yet despite all this, not a day goes by where I don't get an email asking me to add someone's EVE Blog to my blogroll, thanking me for being the inspiration that got them blogging, o even the help I've gotten over the years from folks like @Rettic, @AnMiTh, or the friendships I've built with so many of you. The Good still outways the Bad. The Force is still stronger than the Dark Side. And this blogger, whether you like if or not, will keep doing his part for the Community! Fly Safe and see you in New Eden! Talk about a loaded question! First off, let me state that I do not agree with the premise of the questions above. 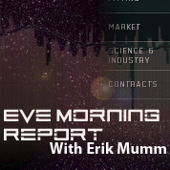 One has to remember that CCP never stated that the Council of Stellar Management (CSM) would have a "small authority to assign CCP assets" to EVE Online's development pipeline. CCP's goal with the CSM was to award "select player representatives the same opportunity to discuss and debate the ongoing evolution of EVE that CCP employees have" (Pétur Jóhannes Óskarsson in his esssay "The Council of Stellar Management: Implementation of Deliberative, democraticically elected, council in EVE" November, 2007). The purpose of the CSM, as are CCP's intentions, is very noble: provide elected representatives (chosen from the player base) with some influence on how the game is developed, what issues, problems or features are worked on, just as any CCP developer working on the game would have. 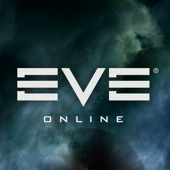 The idea being that it will give players a voice in the evolution of the game - a service they pay monthly for - and thus help CCP tweak the development of its product towards something the players will enjoy, while at the same time keeping control on the overall direction. The reality is much more complex. That reality is a player perception that the CSM has, to some extent, the "power to tell" CCP what to work on next, when in reality it only has "influence". It never had more than influence from the beginning though. Three years after its creation, the CSM is stuck between players perception that their priorities "must" be planned in CCP development pipeline, and the reality of an innovative game developer who wants to provide its customers a means to influence the world they play in but still keep control. Which is understandable from CCP's point of vue, as is the players desire to improve their game, to make it more enjoyable, more entertaining. Both have the same goals, just different ideas on how to achieve this. And as CCP's very own Hilmar Petursson once said in a New York Times interview "Perception is reality, and if a substantial part of our community feels like we are biased, whether it is true or not, it is true to them [...]". CCP is now faced with a dilemma: change that perception, or give the players and their CSM (some of) the influence they crave. Which will it be? 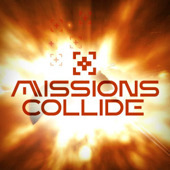 Call me a fanboy or whatever you want, but I believe that whatever path is chose, the EVE Online Community and CCP Games as a developer will only come out stronger. I've heard the "this will kill EVE" way too many times to believe that the folks who work on the game, the players who live it, will let this amazing world crumble away. It's my belief, as well as my hope, that CCP will understand the gravity of the situation and work with the CSM to change this perception and provide these representatives the tools they need to make EVE a better game, a better world, a better virtual society. But eh, I'm Canadian, and I'm an optimistic! Here's this week's crop of new EVE Blogs. Welcome to all of you my "mindless minions"! I was recently contacted by @String_Doll, who is one of the current sponsors of Hulkageddon III and the talent behind the particularly original, you'll have guessed, MyStringDolls.com. He was looking for some promotional opportunity and I thought, well, why not have a little contest and let you the reader get a chance to win one of those little cute voodoo doll, and at the same time help out a Internet entrepreneur! This little contest will be quite simple. Your mission, if you accept, is to tell us "what's your favourite String Voodoo Doll and why?" Do so in the comments below and Ed (@String_Doll) will pick one winner and send them a doll of his choice. The runner-up would get a 10% discount code to purchase a doll. The contest is open from now until Friday, July 23rd (11:59:59) EDT. The dolls seen above are just some of the example of the dolls you can pick as your favorite. Feel free to explore some more on his site MyStringDolls.com. 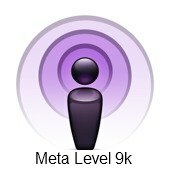 Over the last few years, EVE Online has seen quite a few number of great podcasts done by its player community. 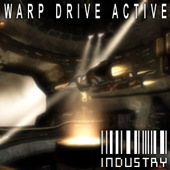 Some, like Winterblink's and Urban Mongral's Warp Drive Active, have been around for over 3 years now! 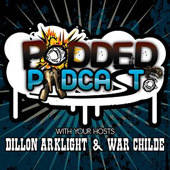 If like me, you've been trying to keep track and find a list of ALL these podcasts, well I've decided to put a little research into it and put together such a list. I myself have had the opportunity to partake in 2 of these, The Drone Bay and Micro Warp Cast. Unfortunately, both these shows have come to an end. 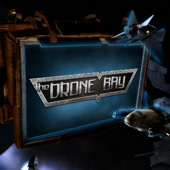 As of this writing, the last Drone Bay podcast recorded has yet to see the light, and may never. [UPDATE: See the comment below. Seems that Crovan is back, and we may see some development re The Drone Bay! Will keep you posted!] 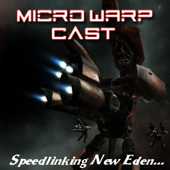 As for Micro Warp Cast, the podcast I had started with @YoMma, it unfortunately suffered the fate. Sometimes RL can be a harsh Mistress. Outlined in Blue are active podcasts! Our friends over at EVEPress are hosting a contest from today until the 27th of July. The topicof this contest is none other then Hulkageddon III, the unofficial week and a half of torture, [where] some of the game's more vicious players band together with one common goal -- the complete eradication of mining ships. Whether you're a fan, a participant or an opponent to the event, you have to agree that it has a major impact on the game. I'm happy to report that I've been asked to judge this first contest. Details of the event can be found on EVEPress. I first wrote about it way back in 2007, but it looks like we might almost be there. The below video shows an EVE client running on a Motorola DROID (Overclocked to 1. 3GHz Bugless Beast V. 1. 1). I just might get myself a DROID phone soon! Over the last few days I've been gathering all my belongings into one system near Bourynes, some 27 jumps away where I was stationed with Phoenix Labs. Suffice to say that the enterprise has been very time consuming, though not what would call boring though. Indeed, I've used this time to accumulate a plethora (damn I love that word!) of links, guides and tutorials that will be useful to me as I join my corp, Chaosstorm, in wormhole space. In trying to share all this information with you, I've put together the following list of guides and links that I've come across in my InterTubes exploration. Please let me know in the comments below of other links you've found helpful. Thanks to UberFanGirl for reminding me, I'll be seeing the movie later tonight! If the trailer is any hint, this is going to be a great movie. I'll let you know! Having recently gone through all of the videos of the Final Day of the Alliance Tournament 8, I've had a chance to see some rather cool videos of what happens at CCP. Below you'll find all 3 "Behind-the-Scenes" videos - on Planetary Interaction, Making EVE Trailers and Recruitement. If you haven't had a time to see them, they're well worth the time! 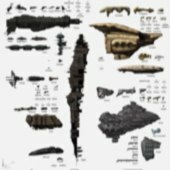 Still some more EVE Blogs to add the EVE Player Blogroll, though soon, I'll be removing quite a few number from the full list. Indeed, recently I've received help for some fine folks to help me weed out the old, outdated blogs from the master list. Expect this to happen soon (tm)! In the mean time, lets welcome these new EVE Bloggers! Friday Video: Iron Sky Teasers - Space Nazis attack! It's not everyday that you get to see Space Nazis! But these two teasers sure got me interested in learning more about Iron Sky [Official Site]. From Wikipedia we learn that "Iron Sky" is [...] a dark science fiction comedy that plays with Finland's history of being oppressed by Sweden and Russia, Iron Sky is a deliberate thematic throwback, a modern implementation of once-popular science fiction tropes that have fallen into disuse, such as Nazis in space. In addition, from the summary we know that [...] as World War II comes to an end in 1945, Hans Kammler and other German scientists make a breakthrough in anti-gravity research. From a secret base in the Antarctic, Nazi spaceships are sent to the "dark side" of the Moon to establish the military base "Schwarze Sonne" (Black Sun). Their plan is to build a powerful fleet and return to conquer Earth. The film is set in the year 2018 when their descendants finally return. Though we only get to play with the results, we all know - to some extent - that somewhere deep within the Matrix of New Eden, some fundamental physics is keeping it all together. But what you wanted to pull the curtain of beauty that the masterful artisan of CCP Games have used to cover the inner workings of the favorite of virtual universe we call EVE, to see these formulas and principles that govern ship behavior, combat fundamentals, and other inner-workings. Well that's what upsideyourhead, over at Knol - a unit of knowledge, has decided to do. I won't try to summaries or explain what he's doing here, has I failed miserably during my undergrad year in Physics way back during my University days. Suffice to say, this will please and intellectually stimulate the inner geek in all of us, whether big or small. Here are the first 3 articles he's written. I'll keep adding more as he lets me know about them. P.S. : Did you understand any of what he wrote?